If you believe the statistics, that the average podcast listener listens to a podcast for 22 minutes, while the average visitor to a website hangs around for two minutes and seven seconds, then you’d be crazy not to consider podcasting your content right? Not exactly. Podcasting isn’t for every business, but for those it fits with, it’s a fantastic opportunity. If you’re the right business for podcasting you can use it for content strategy, engaging your audience and developing a very loyal customer base. Studies show podcasting builds a deep relationship with customers, which can mean repeat buyers and more referrals over time. As a strategy, it’s hard to beat podcasting. I’d rather talk than write, even though I do both. I do podcasts, videos and I blog. So here’s the thing, if you are the right kind of business for a podcast (and most are), then do it. 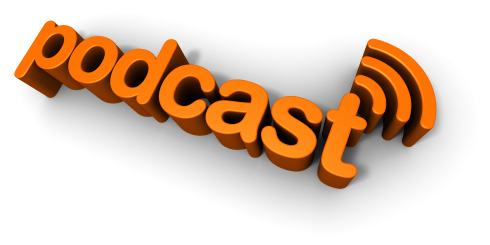 If you have an engaging, funny or good podcasting voice, why not try podcasting? There are dozens of free or low cost websites where you can host your show. Blogtalkradio is one of the more popular and well-known ones out there, but there are others. It’s not expensive to get started and no extensive skills are needed. If you can reach your customers better and more personably through talking to them, then do it. The primary reason for blogging, podcasting or doing videos is to engage your customers. Whatever works for your business, and you, is what you should be doing. Never pass up an opportunity to engage your customer in your business.